10 stores in the Seattle, Washington region. Organic Sales: Overall store sales are more than 50% organic. More than 95% of produce sales are organic. Annual Sales: More than $10 million a year. PCC is partnering with the Non-GMO Project, the first independent, third-party certifier to establish Best Practices and testing throughout the supply chain to ensure non-GMO claims. PCC will label foods with at-risk ingredients as organic, GMO-free or "may contain GMOs" by 2018. PCC buyers are instituting an additional level of scrutiny to the store’s already stringent product standards. They're giving priority to new items enrolled in the Non-GMO Project. They also ask all manufacturers making a non-GMO claim to verify that claim with the Non-GMO Project and to label products accordingly. "Transparency and information allow people to make their own decisions." 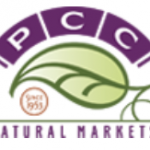 PCC prioritizes organic and Non GMO Project verified products in determining products that are brought into and discontinued at their stores. PCC has advocated for labels on foods produced through genetic engineering since rBGH entered the milk industry in 1994. The company is a Non GMO Project Partner and PCC stores are Participating Retailers. Stores have a Non-GMO database that makes it easy to see what favorite PCC products and brands are verified to have Best Practices and testing procedures in place to avoid GMOs. The database has a search function by category that lists all Non GMO Project products in the store, including nutrition/food supplements. PCC contributed more than $100,000 to gather petitions to get I-522, a Washington State mandatory labeling citizens’ initiative on the ballot for the November 2013 election. "This pledge is a natural progression in our long term commitment to transparency about the food we sell." I have been a member for nearly 14 years now. I love to shop at PCC, especially for fresh produce, delicious deli food, excellent sustainably-caught fish and seafood, etc. I also buy all my drinking water there. I appreciate the fact that they are a community leader opposing the big corporate chains who are trying to pass anti-GMO labeling legislation and pull the wool over our eyes. They are real community leaders. Relocated from NYC to Redmond, WA a year ago. Live equidistant between PCC and WF, but PCC is my favorite place to shop – they walk the talk! I started shopping at PCC in the late ’90’s on advice from my ND. I love shopping there, because they provide the best organic food that I can find. They have wonderful organic, 100% grass fed beef and wild Alaskan salmon. The employees are so helpful and are willing to answer questions. They also donate to the food bank and help small farmers. I would love to see a store closer to my house in the Renton area. With a one-time membership fee, I receive a monthly, informative newsletter with a 10% off coupon that I use when I do my stocking up for the month. I love finding products at PCC with the non-GMO label. PCC is my favorite grocer of all time. Although we now live in Alaska, we always make the pilgrimage to PCC when in the Pacific NW. The Organic Consumers Association (OCA) is a grassroots non-profit 501(c)3 public interest organization campaigning for health, justice, sustainability, peace, and democracy. We represent over 850,000 members, subscribers and volunteers, including several thousand businesses in the natural foods and organic marketplace.